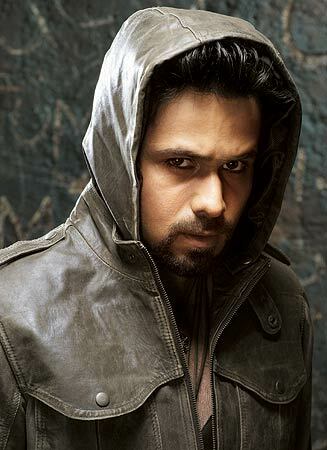 Well it’s the story of a magician whose name if you chant in continuation will bring out the dog in you, Mr. Bobo(Emran Hashmi). He is dating Tamara(Huma Qureshi) and they have an adopted son, Zubin in the pipeline. Now Bobo is not scared of burning a living girl in his magic shows but a baby girl with doll spooks him out. Spooky enough that after a while he decides marrying Tamara is the solution for it all.. Duh! Bobo now digs up his past and story shifts to the eleven year old wanna be magician. Living happily with his Sis and Dad, Bobo is unable to tame the Sherlock in him and takes a trip to hell in the building’s non functional escalator. Yeah right.. Don’t press 666 or you will reach hell. Daayans are recharged by the sacrifice of a kid and Daayan Daayana picks up Bobo’s lil sissy. Caught red handed in the act by father and son, Daayan kills Daddy Cool also and asks Bobo to come along. But Bobo chops off her pigtail and boom! she crumbles after promising of PunarJanam..Also, we learn that Daayans have feet in the reverse direction. Ofcourse all this Bobo’s intelligence comes from the H C Verma of Magic world, a crap book he bought from a Kabadi Wala. Come back to the yawning present now, Enter the girl with front teeth all over the place, Lisa(Kalki). Her Daayan like jewelleries affirm that Daayan has come back. Yawn… Yawn. She buys Bobo’s crappy childhood home and soon Tamara is hanging on the railing as if it’s ‘Khatron Ke Khiladi’. Ofcouse Piddi Lisa managed to topple Fat Huma and even more obvious is that atleast 50 more people who are at the party don’t lend a helping hand to Bobo The Dodo to pull his wife up. Duh! Being a sheer genius, ‘Bobo The Dodo’ recalls from the book that being a potential Pishach, he can harness the energy and has his Junior G moment. He then uses that energy to Khallaas Tamara. He now has to kill ‘Daayana The Daayan’ but sadly he loses his killer abilities with the loss of his innocence according to Satan manual. Duh! Even reading this article more worthy than watching movie.